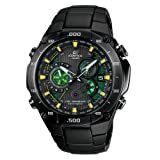 From the Best Casio G-Shock Watches and the Best Casio Edifice Watches to our list of Best Watch Brands, Casio has played as prominent a role in Gracious Watch as it has in the horological market. The Edifice brand is Casio’s peak achievement in a metal analog watch and has been engineered to F1 racing standards as evidenced by its partnership with Infiniti Red Bull Racing. 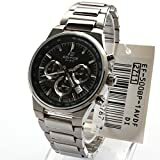 While you can’t go wrong with whichever Casio Edifice you decide on, our buyer’s guide will help you discern the best Edifice for you, no matter what your price point. Inspired by the nautical theme, this timepiece has the functions fitted for sports and the outdoors. 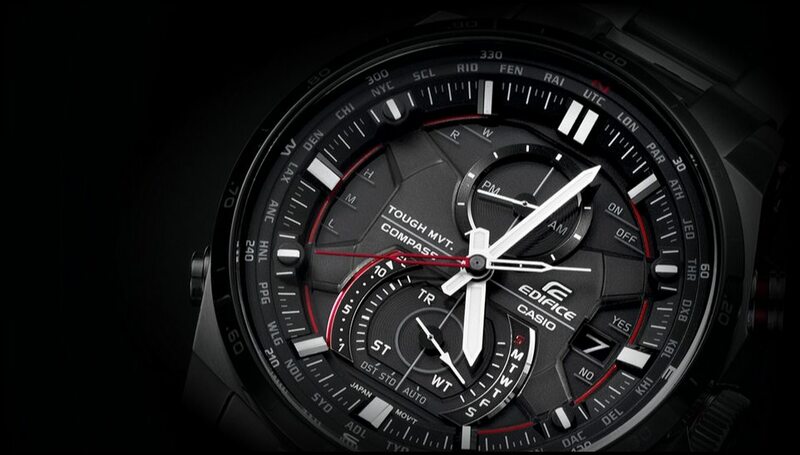 This has a chronograph date display with an Edifice logo crown in the center. This one also got a mineral crystal glass and tachymeter bezel. Its band is made of stainless steel secured with double lock. It also features three sub dials displaying 60 seconds, 60 minutes, and 12 hours. Being inspired by water, this is water resistant up to 100 meters. If a functional dress watch is what you seek, you must highly consider this model. Just by the looks of it, you will know that this one will serve you for long. Aside from its main dial, this one has four other sub-dials showing date, day, month and 24 hours date. In addition, this is also water resistant up to 100 meters. If you dig subtle looking timepieces that will make you stand out for day to night activities, this model is one of the best not only in the Casio Edifice collection but in the entire industry. It has a two toned faced that gave it a grandeur look. Its 42mm diameter stainless steel case is stunningly polished with silver and rose gold dial, markers, and hands. With its laidback one-of-a-kind look, this one will catch your attention. This masterpiece by Casio is very unique looking at the same time of superior quality. This once is designed to last for years. It is the true manifestation of elegant minimalist. Its black backdrop is designed with details which perfected the fashion at the same time sporty façade. Its dial window is made of synthetic sapphire crystal. You will not need to worry with this getting wet because it is water resistant up to 100 meters. This item by Casio Edifice is ultimately made to satisfy the needs of those who are looking for an all-day timepiece. It has the rustic look that will wrap up your casual to formal outfits. For its price, this is an absolute steal. Aside from its looks, it is also multifunctional. 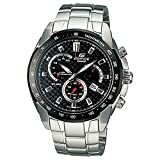 It is a chronograph watch with tachymeter function, date window, and two sub-dials featuring 10 minutes and 24 hours. Its hands and markers are also illuminated. Its black stainless steel resin band perfectly complements its outdoor sporty look. Being made for the outdoors, it is also water resistant up to 100 meters. The Edifice collection is well known for their deluxe dress watches. This is the perfect timepiece for the indoors because it just doesn’t look grand but is also multi-functional. It has digital displays aside from its 12 hour main dial. 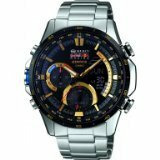 It features chronograph stopwatch, 1/100 of a second, thermometer, alarm, calendar and 12/24 hour formats. It also has a date window at 3o’clock. This one comes in a rectangular shaped stainless steel case and alligator leather band. It is also water resistant up to 50 meters. If what you are looking for is a watch that is mannish and audacious, this is the perfect fit for you. Just by the looks of it, you will have the notion that this is a watch for keeps. It has the style, precision, accuracy, and the durability. This one features unique sub-dials for a full calendar and 24 hour display. It is also water resistant up to 100 meters. Purchasing this timepiece is one of the decisions you will never regret in life. Its stainless steel case and link bracelet is perfectly brushed with silver tone dial. Edifice collection is an offer that you should not turn down. It has the looks like no other Casio Edifice model possess. Just by how it looks, you will be convinced that this is the ultimate racing timekeeping gadget. It has stopwatch, chronograph, timer, and Illuminator features. Its analog displays are also smartly combined. This one is intended to meet the demands of watch lovers that are fond of the extremes or racing. Style, elegance, functionality, and durability; this G-shock classic is on point. If you are looking for a timekeeping device that has the looks and the quality, you will never regret having this one. Its black and gold combination dial makes an impression. As compared to other Edifice, this is more suitable for indoor usage. You can totally rock this watch in casual, formal, and even corporate events. It comes with a full-house features and functions that will suit the indoors as well as the outdoors. This release by Casio is a great deal given its price. If you are more of an outdoorsy type, this is the timepiece that will suit you most considering your budget. It is solar-powered, waterproof, and shockproof. This one got an everyday look that will fit any type of outdoor event. And because it has a very catchy and manly façade, you can also complement this watch with your casual to formal outfits. In terms of functions, it will impress you. It features 5 alarms, world time in 29 cities, stopwatch, countdown timer, and multi-lingual day display. This one gives beyond justice for how much it costs. It is solar powered and its dial comes with analog and digital time display. If you are low on budget but vying for a functional watch that will do in the indoors and outdoors, then you are looking right at it. It is powered by Japanese Quartz Movement that comes with a dial featuring day and date window, 1/100 second stopwatch, countdown timers, alarms, and world time. This is also water resistant up to 330 feet. If you are planning on investing on a timepiece that you can use every day for any type of activity whether intense or casual, this heavy duty timekeeping device might be the one for you. Just by the looks of it, this is worth every dollar you are going to spend. This is in stainless steel case and band with safety push button release clasp. It has a very masculine appearance that will complete your casual to formal outfits. This is also impressive in terms of functions. It is water and shock resistant. It has 1/1000th second stopwatch, speed indicator, auto LED light, auto calendar, and world time featuring 29 time zones. If a sport watch is what you are seeking for, you should heavily consider this model in the Edifice collection. Its analog dial accentuates a series of very useful functions. This one is shock resistant and has multi-functional sub-dials. Its dial also has a backlight, flash alert function, world time and daily alarm. Lastly, it is water resistant up to 100 meters. Casio Edifice are not only elegant but also made to withstand the outdoors but. It has ultra facilitative functions such as multi time in 4 different cities, world time, 1/1000 second stopwatch, and countdown timer, 5 daily or one-time alarm, and full auto calendar. This is built to please its users in terms of comfort, operation, and convenience. It is shock resistant and is installed with LED Backlight using the Super Illuminator technology. It is also water resistant up to 100 meters. Every man needs a watch that can be worn indoors such as during formal and corporate settings. This Casio dress watch would make a perfect timepiece for such events. It has a very mannish face that will surely add a touch of elegance to your outfit. This is a chronograph watch that has functional data display specifically its 30 minute, 1/10th second, and 60 second sub-dials. It also has a tachymeter function that you will find very useful. This one got a scratch resistant sapphire crystal and is also water resistant up to 330 feet. It also has a look that no else possess. This is another Casio’s success in terms of style, quality, and functionality. Casio’s goal is to come up with timepieces that are elegant, functional, and durable. This masterwork by Casio is elegantly encased with stainless steel white case. It has a deep black dial accentuated with silver hands, markers, and indexes that has a very posh effect. It has three sub-dials featuring 12 hour, 30 minutes, date and day data. This timepiece is a must have. It has a façade that can be worn in any activities and events. You can rock this one in the indoor as well as outdoors. It is an everyday watch that will elevate your entire look. In terms of functionality, you can also rely on this one. It has luminous hands and markers, it has two sub-dials plus it also has a date window at 3 o’clock. Its case is made of stainless steel, its dial window is anti-reflective, and its strap is leather calfskin ensured with deployment clasp. It is also water resistant suitable for pro diving. This watch is not just a luxury, it is an investment. 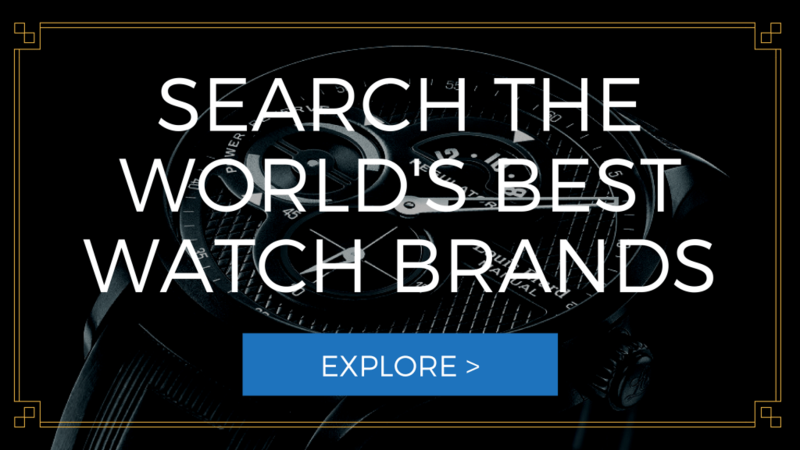 This is created for men who want a watch that will pay-off. Provided its expensiveness, you will never regret purchasing this luxurious yet haughty timepiece. It looks extravagant and durable at the same time. It also has the functions that every man needs. 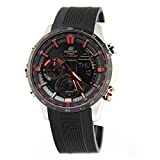 It is a chronograph watch with three functional features such as LED backlight, world time, digital compass, thermometer, stopwatch, auto-calender, and 12 and 24 hours time format. It also has a tachymeter bezel and is water resistant up to 100 meters. This timepiece truly represents an elegant yet laidback dress watch. It has a plain black dial with silver hands, markers, and case. It comes with a date window at 3 o’clock. Its case is stainless steel and its strap is leather. This automatic movement timepiece also has an 80 hour power reserve and a scratch resistant dial window. It is also water resistant. Featuring the latest technological advancements, this watch possess the specifications every water and dry land adventurer is looking for. Inspired by water activities, this watch is most suitable for outdoorsy men. It has a tachymeter function and three functional sub-dials plus a date window. It displays 30 minute, 60 second, and 6 hour functions. It is water resistant up to 100 meters perfect for professional scuba diving. This round black watch is a manifestation that the classic never go out of style. It has a unique vintage look that leaves an impression. Its 42mm case is made of stainless steel material topped up with durable and scratch resistant sapphire crystal. It has day, date, and month displays that are very useful. It also has a 60 minute sub-dial. If you are looking for a casual watch that you can use every day, you can never go wrong with this one.